Wanting to learn how to create shoes entirely by hand led me to pestering the local clog maker to take me on as his Saturday girl. After a couple of years and a HND at Hereford College of Art, I got a place at Cordwainers College, then part of Central and St Martins. When I finished my degree, I went straight into an apprenticeship in the west end of London. I was very lucky as apprenticeships were, and still are, very few and far between. For 12 years, I worked exclusively for 4 or 5 boot and shoe companies in the West End and Mayfair. A chance conversation led to a residency at the Royal Armories in Leeds where I spent two years working with the in house leather worker to produce 30 pairs of Jack boots for the household cavalry. 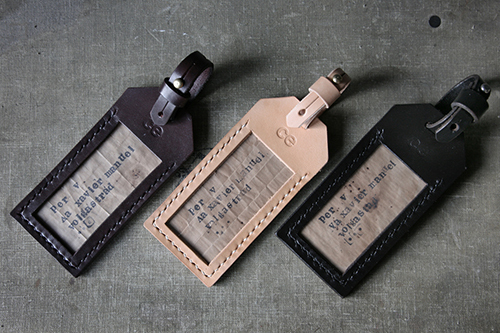 While I was there I began to think about producing a collection of leather goods under my own name. I was encouraged when my first show sold out completely. I have worked hard to build on that success, becoming more creative with styling and inventive with detail as the collection has grown. 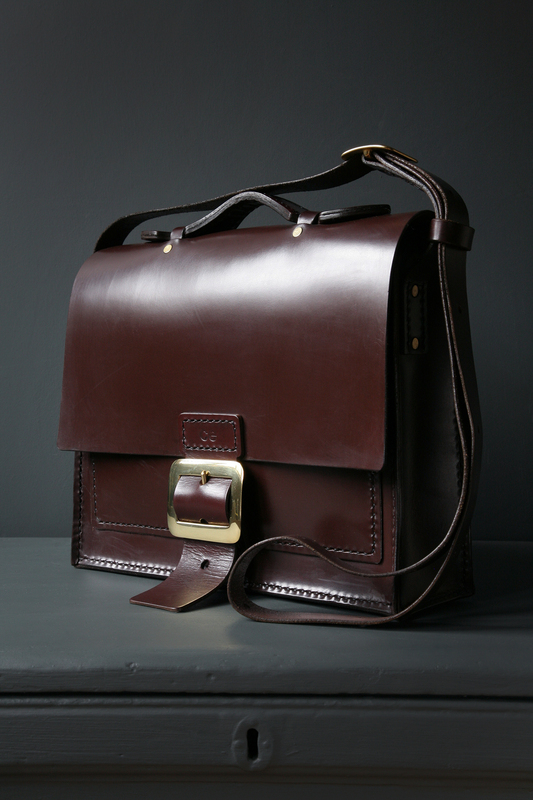 The range now includes small everyday bags to very large luggage style satchels, box bags, laptop cases and accessories, all made from best British leather, sourced from a small family run tannery in the West Midlands. The collection is both practical and stylish and all items are a contemporary take on a traditional classic. Finished with limited edition brass or chrome plated feature buckles, many have adjustable shoulder straps and can benefit from additions such as ticket and phone pockets, dividers, handles, key fobs and magnetic closures. Click here to be taken to my website.